Fr. Valmir Manoel Dos Santos takes a selfie with a group of youths training to become beekeepers in Ivory Coast. 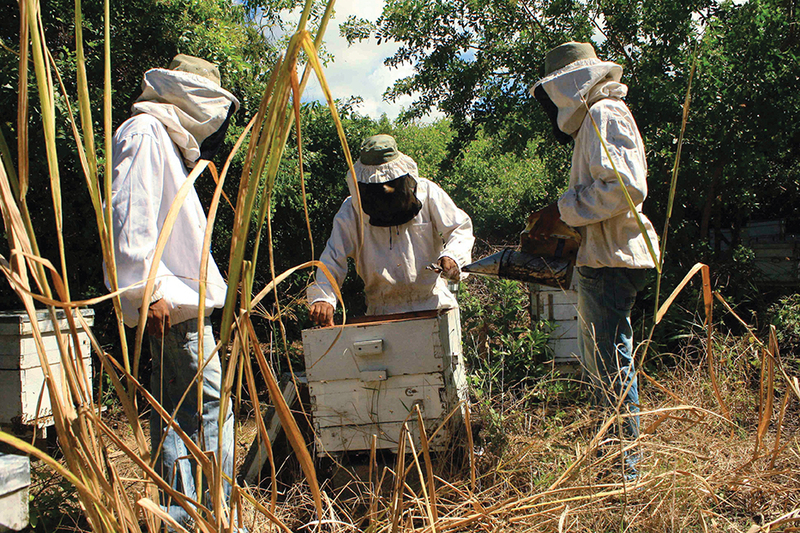 In Kani, in the northwest of the Ivory Coast, a PIME Missionary from Brazil initiated a beekeeping project to supply jobs to young people, including those who are immigrants from other countries. Ivory Coast is the first destination for African migrants. In spite of the perception that there is in the Western World: out of a total of 191 million migrants in the world, only 17 million come from Africa, equal to 1.9% of the population, 70% of African migrants remain displaced on the continent. Ivory Coast: not very populace and rich in agricultural products, starting with cocoa and coffee, has historically attracted young labor from neighboring Burkina Faso and Mali; but also from Guinea Bissau and Senegal. However, despite the economic growth of recent years, in some regions the unemployment rate remains high and for young immigrants it is far from easy to enter the job-world. 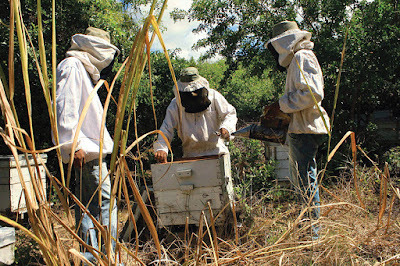 In Kani, in the northwest of the country, a young PIME Missionary became acutely aware of this problem and started a singular initiative; beginning with 50 wooden beehives for beekeeping. Fr. Valmir Manoel Dos Santos, 33, was introduced to the PIME Missionaries in his country of origin through the magazine Mundo and Missão (the Brazilian “sister” of Mission World). In 2007, he joined PIME; five years later he was ordained a priest and in 2013, he left for the Ivory Coast. “I thank the Lord who allows me to live here where I am,” he says, “and who also guides us in seeking solutions to promote all facets of integral development,” of every person and of the whole person; “ of which Pope Paul VI spoke”. 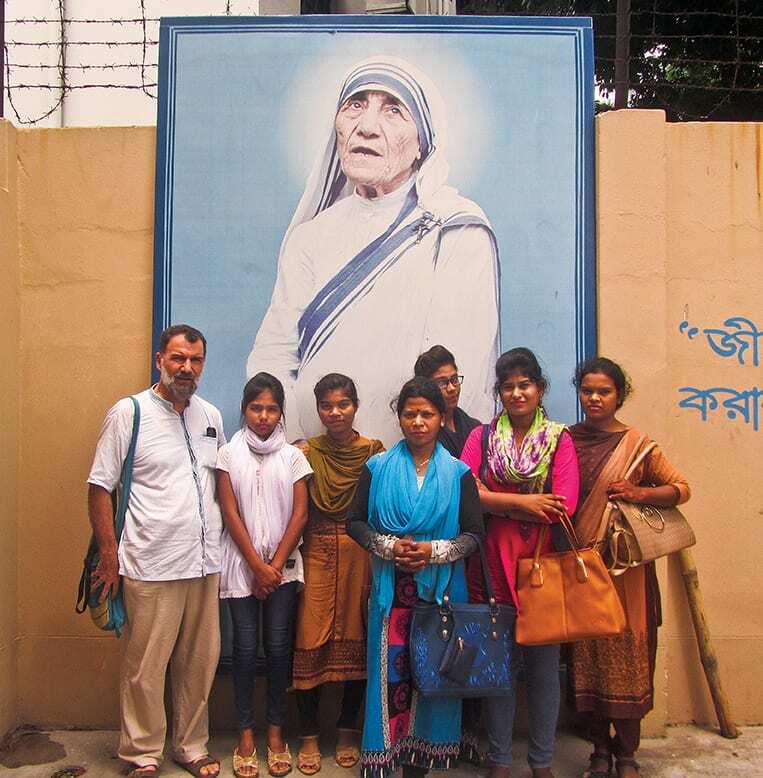 It was precisely conceived from the attempt to find solutions for the integral development of young people that Fr. Valmir promoted this innovative project in Kani. “We live in a tropical region,” explains Father Valmir, “where the unemployment rate is very high. Several young people, especially those of ethnic origin who came from Burkina Faso, left their families of origin to look for new lands to cultivate here. The unfavorable climate, however, does not help them. In view of their good will, the idea was born to help them find alternative sources of income, also to avoid a further exodus that would lead them with a certain ease to compromise their future by entering the vortex of crime, as it has already happened to some of them”. Ivory Coast that is not yet produced in the Kani region. The Brazilian missionary and the youth of the parish of Kani therefore immersed themselves in an entirely new undertaking in Kani: “We have not found other groups or people already active in this sector, thus, we had to get experts from the capital Abidjan, both for the training and to help us find a market when honey would have been ready,” explains Fr. Valmir. 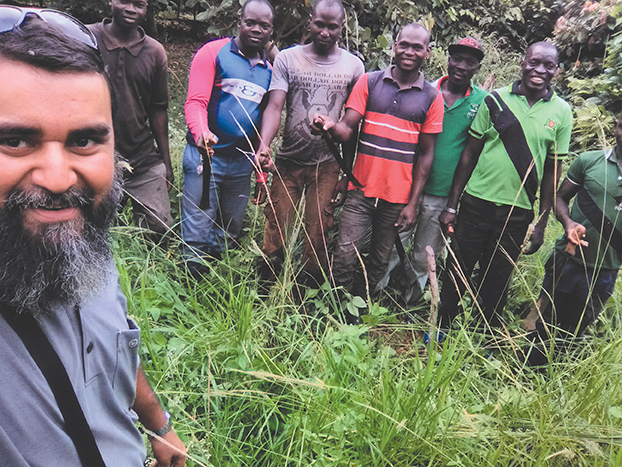 The parish of Kani, one of the promoters of the beekeepers’ cooperative, is a tiny reality in the midst of a predominantly Muslim environment. Fr. Valmir follows a community of two thousand Christians, divided between the city and the small villages around it. “In this area, Muslims are more than 90% of the population; 7-8% are animists or they practice traditional religions, and 2% are Christians, of whom 1.5% are Catholic.” This is quite a change for one coming from a country like Brazil with an overwhelmingly Catholic majority. Relations with other religious communities, however, are positive: “Thanks to God we are able to dialogue and collaborate, especially during the great religious feasts and at important events for the city, such as the arrival of the President of the Republic or at election time.” In 2015, on the occasion of the presidential elections, the Catholic Church promoted an inter-religious prayer meeting before the elections, which then took place regularly and without incident. In March 2016, the terrorist attack on a hotel frequented by Westerners in the town of Grand-Bassam opened a new front, totally unfamiliar for the Ivory Coast and struck tourism: an important sector of the economy. It is for this reason that, according to Fr. Valmir, it is necessary to help young people find viable solutions for their integral development. Also, the fight against fundamental extremism is aided by initiatives of this kind.